You may remember from a previous post that in our daily exhibit cleaning routine we scrub algae off the floor using a Doodlebug pad. You may be asking yourself, "What exactly is a Doodlebug pad?" 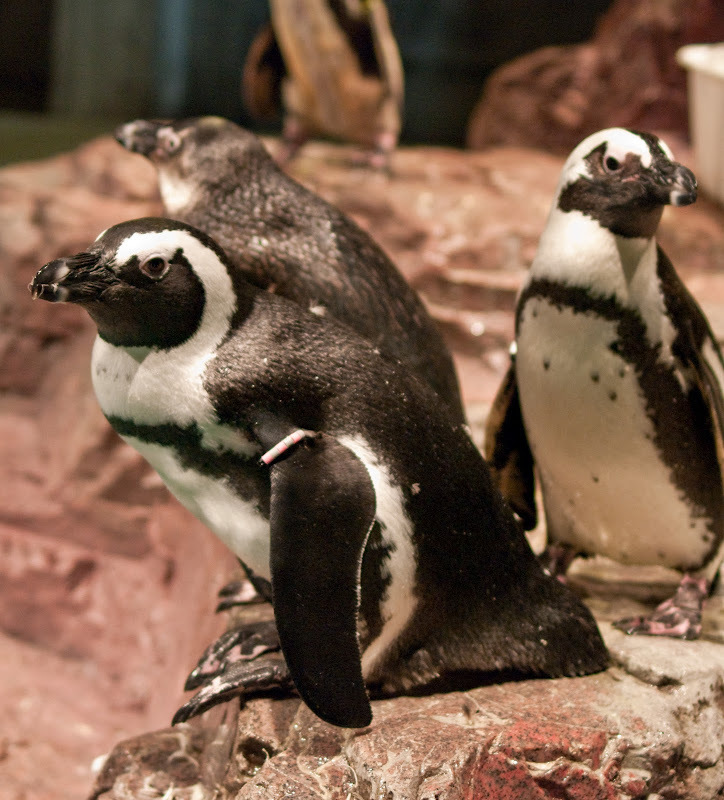 Daily scrubbing keeps the exhibit clean for visitors and especially these guys! A Doodlebug pad is a scrub pad that comes in various colors; white, green and brown. Each color represents a different degree of coarseness. The white pads are the softest, very similar to a sponge. The green are coarser and the brown are the coarsest, similar to a Brillo pad. Ah, behold the colorful assortment of Doodlebug pads. We use brown or green pads to scrub algae that may grow on the exhibit floor. To remove the algae we place the Doodlebug pad on the bottom of our foot and use our foot to scrub back and forth. It’s a great workout for you legs and it helps keep the exhibit looking great and algae free!